jinjoo Jan 13 2019 8:53 pm First time watching you in MOO drama and i'm a new fan already! You look younger than your age woah amazing! 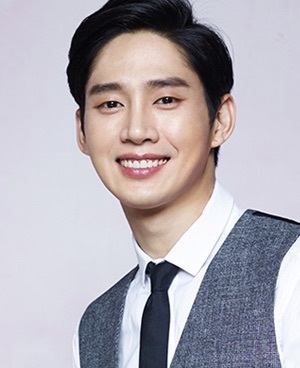 I hope to see more of you - you're a good actor and love your role as Go Rae in MOO! Take care and all the best! Lola Dec 27 2018 7:07 pm His facial expression is so mild and pleasant. Looking forward as a lead role Power presence and good-gentle acting. I became a fan. Park Sung-Hoon and Na Hye-Mi, Yay! Shine Dec 16 2018 9:56 pm Love him since I watch Jealousy Incarnate, Rich Man.. He is so adorable and attractive.. He has his own charm and that charm more appear when he get role in the drama special with Jeon So Min..I hope he get main role in the future..
Nux Sep 23 2018 4:52 am Loved him in Black Knight, couldn't help but feel for his character. I just seen Gonjiam, it was a really good horror. Well done. Hilal Jul 07 2018 12:09 pm Wow mary me man. He is so handsome and he is very talented actor. He deserves better. Kyukyu Jun 29 2018 7:49 pm So damn good actor. Discovered him in rich man. Clearly the one that made me watch this serie. His emotions, his acting is so damn good ! Hope he will have an important role in a near future ! chanhee Mar 04 2018 6:57 pm Whenever I see him in Black Knight, I always get reminded of RAINZ Hong Eunki and The Boyz Sangyeon. He’s so cute! I wish to see more of his acting in the future. acetrash Jan 21 2018 12:51 pm Please give him more prominent roles in the future! though i hated him in mad dog, i fell in love with him in black knight. he deserves more! He's so handsome! Hunter Jan 19 2018 1:33 am Great acting in the Black Knight, your expressions and emotions are spot on. You bought belief to your character and I'm genuinely interested to see how it works out for your character in this drama. Can't wait to watch more of your roles.